HOME > PMF Organizing Committee > What is PMF? 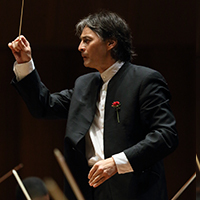 The Pacific Music Festival (PMF) is an international educational music festival founded in Sapporo by leading 20th century conductor and composer Leonard Bernstein, along with the London Symphony Orchestra, in 1990. Now a quarter century on, a cumulative total of over 3,500 excellent musicians have taken part. 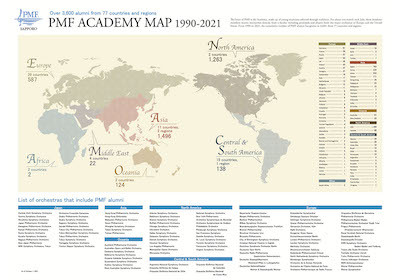 The heart of PMF is the PMF Academy, an educational program featuring top musicians of the world as faculty, and fostering young musicians chosen through auditions from all parts of the globe. For roughly 1 month each July, these richly talented Academy members receive instruction on high-level craft from the faculty as well as a wealth of experience, in addition to experiencing international exchange through music, thereby deepening international mutual understanding. The fruits of this learning are widely showcased, starting in Sapporo and extending to the various locations where concerts are held. 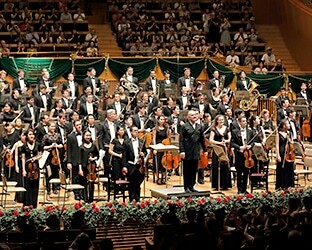 The world-class PMF Orchestra (comprised of Academy members) in particular, as the premier youth orchestra in Asia, attracts large audiences every year. "Pacific" in the music festival's name is not simply indicative of geography, but refers also to "peace," and as such represents a core principal of the festival. 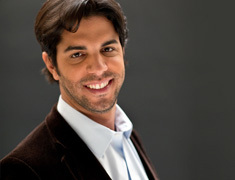 Other music festivals with connections to Bernstein include the Tanglewood Music Festival in America and the Schleswig-Holstein Musik Festival in Germany, and just as he conceived, this American/European/Asian triumvirate of international educational music festivals spanning the globe continues to show results, building a collective history. 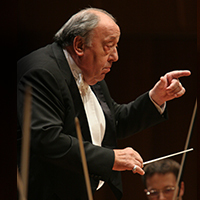 An American conductor, composer, pianist, and music educator, who in addition to becoming one of the leading conductors of the 20th century, also gave us works such as the "West Side Story" musical. 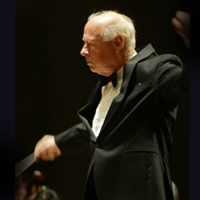 Members of the Academy, comprising the main focus of PMF, are selected through auditions all over the world, and for roughly a month from July to August they receive direct instruction from a faculty including principal players from the world's major orchestras. 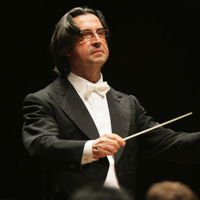 While PMF has maintained the Orchestra Academy as its primary function since its founding, it has also trained young musicians through the establishment of various other Academies, including those for Chorus, Conducting, and Composition, as well as others. 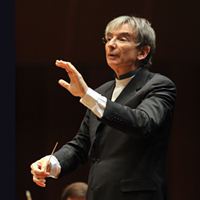 The PMF Academy is led by world-class conductors, principal players from the major orchestras of Europe and America, and experts in various fields. 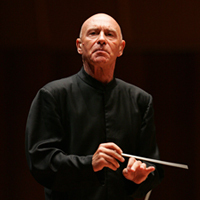 Leading-name conductors have to this point participated in PMF as Artistic Directors and Principal Conductors. 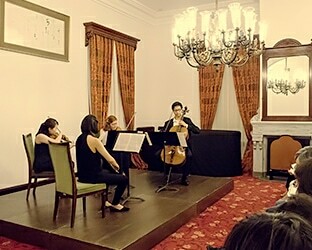 In order to ensure that talented musicians are not prevented from participating in PMF for financial reasons, the PMF Organizing Committee covers travel expenses from anywhere in the world to Sapporo, as well as accommodations for the duration of the festival and the instruction fees of the world-class faculty. PMF is similar in structure to a "music summer camp." For the roughly month-long duration of the program, Academy members take on short-term intensive programs, devoting themselves entirely to music. Most rehearsals and concerts take place at Sapporo Concert Hall Kitara,which is considered one of the best music halls in the world. Academy members learn a comprehensive set of skills necessary for being a musician - how to communicate with various other members with different languages and cultural backgrounds, how to come together in a spirit of cooperation in order to make music, and how to come to terms with the music itself - all the while navigating a very tight schedule. In addition, they not only become more familiar with music, but also with Sapporo's rich natural environment and with Japanese culture, and through their interactions with like-minded peers they come to enrich their own character. 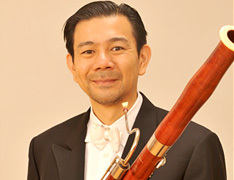 Since 1990, young musicians have come every summer to study in Sapporo. 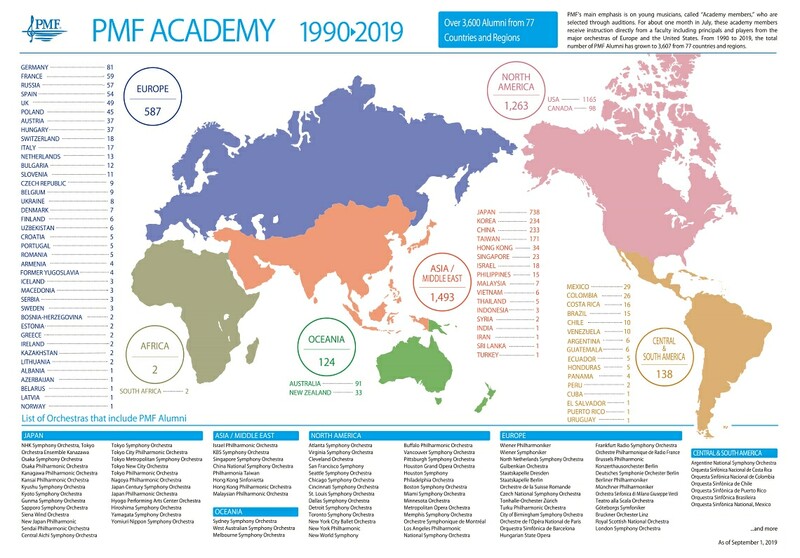 The cumulative number of Academy members who have attended PMF to this point (PMF alumni) exceeds 3,500, hailing from 76 countries and regions. They consistently come to spread their wings in the world, conveying the spirit of PMF and the wonder of music. Among these alumni are those who rise to the top level of the world music scene and then return to participate once again by instructing the PMF Academy as members of the faculty. 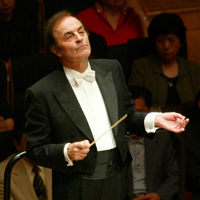 PMF concerts are divided into "orchestra" and "chamber" concerts, according to the number of players and the instruments involved, and are also divided into those that primarily feature Academy members showcasing what they have learned and those that feature faculty members in performance. These concerts are held mainly in Sapporo, but also in other parts of Hokkaido, and a concert tour including performances in Tokyo and other cities takes place at the end of the festival. 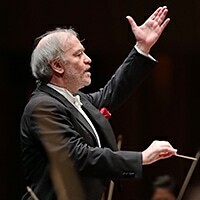 In addition, there are half-day events such as the PMF GALA Concert and the Picnic Concert, and every year large audiences enjoy a wide variety of concerts. These concerts offer casual opportunities for audiences to approach music, taking place outside the concert hall in facilities such as parks, and are well received every year. This concert brings the series of concerts at Sapporo Concert Hall Kitara to a close. Audiences have the opportunity to dress formally on a weekend afternoon and enjoy a time of high-class music in an elegant environment. 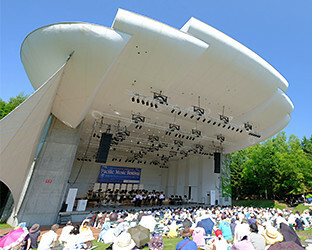 This famous final concert in Sapporo, taking place at the Sapporo Art Park Outdoor Stage, is marked by a casual atmosphere, and the sounds of classical music resonate in the forest all throughout the day. In addition to concerts, PMF also presents its ever-popular Music Outreach Programs, offering unique experiences possible only with PMF. 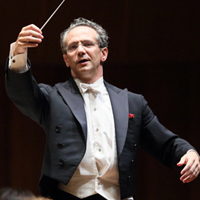 A program allowing audiences to attend PMF Orchestra rehearsals, to observe artists active on the world stage as they instruct the PMF Academy, and to watch the music take shape as they prepare it for performance. A set of programs centered around lectures given by PMF instructors and participating artists, held every year, reflecting some of the unique characteristics of PMF. 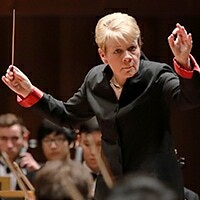 A music education program geared toward elementary schools, carried out in cooperation with New York's Carnegie Hall. 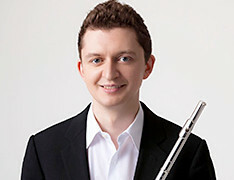 Children have the opportunity to perform along with the PMF Orchestra - singing and playing recorders - offering them an exclusive encounter with top-level music. 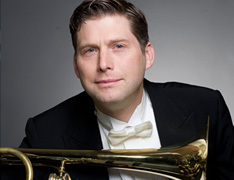 PMF faculty and artists teach seminars for local junior-high and high-school wind bands, and masterclasses for local music majors, providing them with world-class educational opportunities only possible through PMF. PMF is trilaterally supported by 1) individuals, including music fans from all over the world and those who attend PMF concerts, 2) companies and organizations, in support of local community and culture, and 3) administrative public institutions that provide comprehensive support to the music festival. Since its founding, PMF has experienced strong growth as a result of such steady, generous support. PMF was created with the purpose of fostering young Asian musicians. The Sapporo-based PMF Organizing Committee was formed during PMF's second year, and has been in operation ever since. 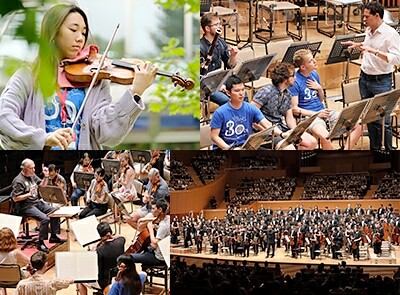 PMF is an international educational music festival established in 1990 (Heisei 2) through the advocacy leading 20th century figure Maestro Leonard Bernstein. Its operative goals are to contribute to society through music education and to nurture the younger generation, in addition to the development and spread of classical music. The PMF Organizing Committee (PMFOC) was formed in 1991 (Heisei 3) as a Private Organization based in Sapporo City, and in 2002 (Heisei 14) it was granted status as an Incorporated Foundation by Japan's Ministry of Education, Culture, Sports, Science and Technology (Cultural Affairs Agency), and has been managing the international educational music festival ever since. In 2008 (Heisei 20), in light of the new Public Interest System, the PMFOC applied to the federal government (the Cabinet Office) in order to be designated as a Public Interest Corporation (a newly established entity), and in 2010 (Heisei 22) it became a Public Interest Incorporated Foundation. President YAMAHA MUSIC JAPAN CO., LTD.
Any reproduction without prior permission is strictly prohibited.